I just can’t seem to get away from Reliability Centered Maintenance (RCM). I was driving home from Indianapolis, Indiana after speaking at the Reliable Plant Conference ~ 399 miles. Just as I hit Nashville on I-65 South, my Low Oil Level Warning Light illuminated on my 2014 Subaru Forester. In the context of RCM, the Low Oil Level Warning Light is a Protective Device. It’s called a Protective Device because it is intended to “protect” in the event that something else goes wrong. In this case, that “something else” was abnormally low engine oil. To be capable of visually alerting the driver in the event that the engine oil level decreases to the lower limit. Okay, now back to the road. “Rats,” I mutter to myself. I quickly run through the possible Failure Modes (RCM step 3), Failure Effects (RCM step 4), and Failure Consequences (RCM step 5). There are three scenarios. The light could be falsely illuminated due to a faulty circuit (meaning the engine oil level is normal). If that’s the case, there’s nothing I can do about it until I bring my car in for service. But between now and then, my engine will be just fine (non-operational consequences). The light could be illuminated because the oil level really IS low due to “normal consumption.” (Synchronicity was at play here. 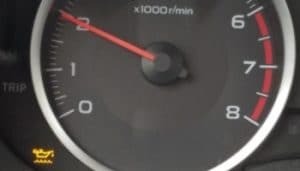 Just the other day, my husband (a gear head) and I were talking about that fact that my Forester has a Boxer engine and those engines typically “consume” oil due to normal use.)) I had at least another 150 miles to go. I probably had enough oil to make it home without damaging my engine…but…it wouldn’t be wise to continue driving without checking it out (possible operational consequences). The light could be illuminated because the oil level really IS low due to a leak in the oil system. That’s the worst-case-scenario because it’s very important that my engine gets proper lubrication. 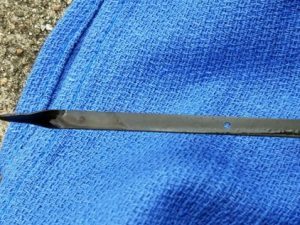 Inadequate lubrication could cause internal damage to engine components and possibly leave me stranded on the side of the road (operational and possible safety consequences). My gut said it was either Scenario 1 or Scenario 2. But I had no way of being sure. Still, in an attempt to deny reality (because I really didn’t feel like stopping), I called my husband hoping he would tell me to just keep driving. I got off at the next exit and checked my oil level. (Thank you, Dennis for putting the blue towel in my car.) The level was a little on the low side – but still within normal range. But…I didn’t know what was specifically causing (AKA Failure Mode) the Low Oil Level Warning Light to illuminate. If I actually had a leak, I needed to replenish the reservoir. I looked around and didn’t see any evidence of a leak…but I was still far from home. My engine takes synthetic oil. 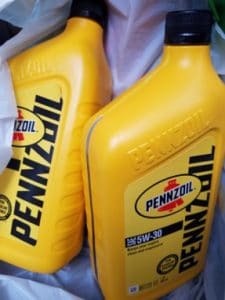 The gas station didn’t have any, so (per the manual) I got the next best thing for my Forester. I replenished the reservoir with conventional 5W-30. I purchased two extra quarts. In the context of RCM, you could consider those Protective Devices. I would only need them for the rest of the trip in the event that I really did have a leak. Within minutes of driving again, the Low Oil Level Warning Light extinguished. Ahhh…..
And it stayed extinguished for the rest of the trip. 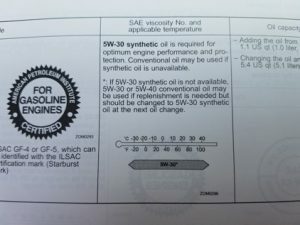 That weekend, Subaru confirmed that my engine is expected to “consume” oil between changes, and I was coming up on 7,400 miles since my last service. They changed my oil (RCM step 6, Proactive Maintenance and Intervals, Scheduled Replacement Task) and checked out the lubrication system. Everything was good-to-go. No leaks. My oil was low due to normal consumption (Failure Mode). A simple ride home from a maintenance conference and I applied all seven steps of the RCM process: 1. Functions, 2. Functional Failures, 3. Failure Modes, 4. Failure Effects, 5. Failure Consequences, 6. Proactive Maintenance and Intervals, and 7. Default Strategies. You may be wondering how I sneaked RCM step 7 in there! In a real-world RCM analysis, we determine how often to check our Protective Devices (assuming they can be checked) in order to achieve the availability, we say we want. In the context of RCM, they’re called Failure Finding tasks and they’re classified as Default Strategies (RCM step 7). 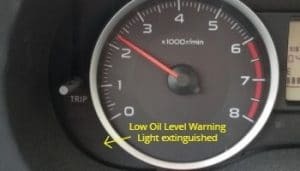 Although I didn’t initiate the Failure Finding task, when my Low Oil Level Warning Light illuminated, it was a natural complete check of the system – from sensor to warning light! Like I said…I just can’t seem to get away from RCM…and that’s just fine with me! The lottery ticket was a loser! ← What IS Reliability? It has everything to do with what you NEED! Great article and exercise using the 7 steps. 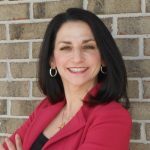 I am an RCM enthusiast as well and my anticipation reading through your article to get to the Root Cause and a successful solution had me on the edge of my chair. Congrats, you reached out. You guys combined a team effort to reach a solution while defining the root cause and failure mode. Its always good to confer with someone not emotionally involved in the situation to bring new ideas to the table. The fact that your vehicle’s system provided an accurate failure mode indication and you acknowledged the warning message promptly avoided the chance of a catastrophic failure of your engine. Says much about the reliability built into your vehicle by the manufacturer, your lubrication program design and your keen sense of awareness. Just to note from experiences that I have witnessed in the past, when the low oil light comes on or acknowledged, it was too late as damage had already occurred in the bearings of the engine due to lack of lubrication. The failure mode indication and system lacked the necessary capability to provide ample warning. Possibly clogged sensors due to age and or sludge and varnish build up compromised the reliability of the warning/indication system and allowed the oil level to get too low. This situation allowed the oil pump to cavitate thus starving the lubrication system of oil before the light came on. So…. by the time the light comes on, catastrophic damage has already occurred. Too Little, Too Late! 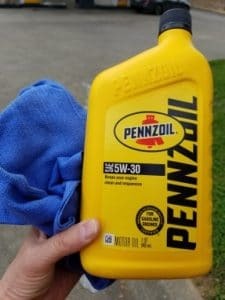 If I may make one suggestion….. given the fact that it is a normal function of operation to consume some oil on your Subaru between oil changes, there may be a convenient benefit to carrying an extra quart of the recommended engine oil in a rear storage compartment of your vehicle. Just makes life easier to have it on board in the event of a low oil situation, especially on the road and not near a lube service provider. 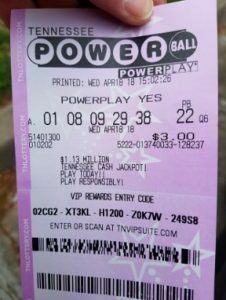 Your lottery ticket did not win, but you really were a big winner and won in grand style using your RCM skills to avoid a potentially critical event. Congrats! I really enjoyed your article, your are a gifted technical writer. Thank You!